This other side of her story could "change everything," she added. Best-selling author Margaret Stohl is getting a chance to put her own stamp on the legacy of one of comic books' most prestigious and popular heroes, Captain Marvel. 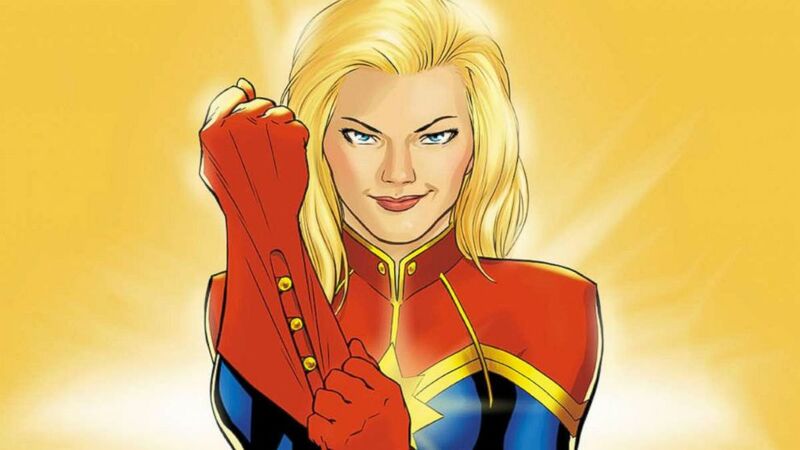 Stohl, who has written novels, video games and comic books, including hits like "Beautiful Creatures," "Black Widow: Forever Red" and most recently the Mighty Captain Marvel, will now get a chance to show a different side to Carol Danvers, the alter ego of one of Marvel's brightest stars. "It's a good time to be a female superhero," she said. 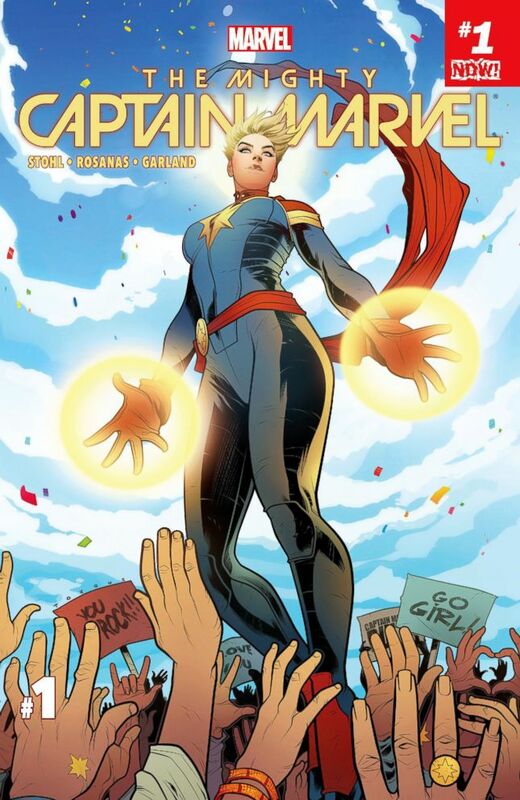 Stohl's "Life of Captain Marvel" #1, which hits stores this summer, will be part of a new rollout of first issues by Marvel Comics, retelling and adding to the origin stories of the universe's greatest superheroes. (Marvel) The Life of Captain Marvel. "This one is especially important to me," Stohl told ABC News exclusively about the project. "I relate to Carol Danvers so personally. And I really wanted to be able to do this and go back in before her movie launches." The movie Stohl referenced is the highly-anticipated 2019 blockbuster starring Oscar winner Brie Larson in the title role. Details of that plot are still unannounced. But according to the books, Danvers got her powers years ago after teaming up with a Kree warrior named Mar-Vell. After being caught in a blast of alien energies, she somehow became a hybrid of both alien Kree and human genes. At first she went by the name Ms. Marvel before taking on the mantle of the Captain! Her powers include flight, super-human strength and much more, but it's her leadership in super groups like The Avengers and Alpha Flight that has captivated fans for years. When Stohl joined Marvel a few years back to work on books for another iconic female superhero, Black Widow, she got a chance to work with acclaimed Marvel scribe and creator, Sana Amanat. The duo hit the ground running and never looked back. "We are both women in a man's world mostly," she said. "I've made video games and comic books my whole life, so I am really used to being a girl in a room of boys, although increasingly less so in the comics industry." (Elisabetta Villa/Getty Images) Margaret Stohl attends the "Beautiful Creatures" photocall during the 7th annual Rome Film Festival at the Auditorium Parco Della Musica, Nov. 13, 2012, in Rome, Italy. It's Danvers' background in the Air Force and NASA that really resonates with Stohl. "I know about that and I know what it takes to get your voice out there and to scrap and to be heard," she said. Retelling Captain Marvel's origin story will stem from "crippling anxiety attacks [that] put her on the sidelines in the middle of a fight," according to the official Marvel tease of this first issue. "Carol finds herself reliving memories of a life she thought was far behind her. You can’t outrun where you’re from — and sometimes, you HAVE to go home again. But there are skeletons in Captain Marvel’s closet — and what she discovers will change her entire world," the synopsis continues. Stohl said this book is "a chance to show a softer side to Carol" both in the copy and art. "Carlos Pacheco's panels are incredible," Stohl remarked of the art. "He is so good at delivering emotion and getting the reader to connect with what's on the page." The "Life of Captain Marvel" #1 will not be a complete reinvention of Danvers and her past, but a "retelling," Stohl said. "You look through a different lens," she said. "It's nothing you'll expect and nothing you've seen happen but there will be parts of her life that change the context of what you've seen before, so it's telling the other side of the story, of how she came to be." (Marvel) The Mighty Captain Marvel cover art. As for the arc of the upcoming movie, Stohl said it will obviously be similar but also "it's own thing." "There's so much narrative space in comics, we tell endless stories, we add personal details," she said. "You know, things that the reader can experience with the hero. It's super personal." The Kree angle and its alien culture will still be a major part as well. "I really liked it. That's probably all I can say," she said with a laugh as though she may have given away too much. Stohl said that while picking the brains of Marvel Comics legends like Joe Quesada and seeing Danvers' impact in chat rooms and fan clubs, she saw the "widening circle of how much this character matters to people of all kinds." This kind of flag-pole hero both onscreen and in books makes the process of telling her origin story "more personal," she noted. "I thought it was going to be more of a girl's story specifically and in some ways, it is, because it's a female character and author," Stohl said. "But really it's a human story ... I thought [Carol] would be telling me a daughter's story and a girl's story, but really she's telling me a coming of age story and a family story." Stohl said her cohorts at Marvel, Amanat and Quesada, always stress that fans relate to the human side of their superhero characters. "This has been Carol at her most approachable and understandable," she said. "Carol isn't like that very often. She has a sense of humor and she used to toughing out." The last few years in the comics have been one of great strife for Captain Marvel. After facing off against Iron Man and putting him in a coma, she was then forced to fight a war in space after being locked out of Earth by a Hydra-fronting Captain America. That's a much longer story for another time. When asked how a female superhero fits specifically into movements like #MeToo, Stohl acknowledges the "hard time, a tumultuous time" that's occurred not only over the last couple years and far beyond that. "But I've never seen such power either," she said. "I've never seen more empowered teens. I've never seen a more empowered fans. I've never seen more empowered women!" In fact, after taking on the mantle of writing for Danvers, Stohl said both fans and even former military women have reached out to her with praise for how much this character is a facet of their lives. "I look at the ecosystem we're moving in and I've never seen more girls, women and teens speaking up and using their voices," she said. "Just sort of being heroes." She continued, "It's been the best of times and the worst of times. But I've definitely said to myself, 'Aren't we lucky enough to be alive right now?'" The changes in culture include the success of the film "Black Panther," which has now earned more than $700 million worldwide at the box office in less than two weeks since it was released. "That was kind of a religious experience in pop culture this month," she said. "That was a game changer but also life changing for so many people. That was a victory for characters, but that was a victory for the audience and fandom, and the franchise. Everything is changing and it's remarkable." 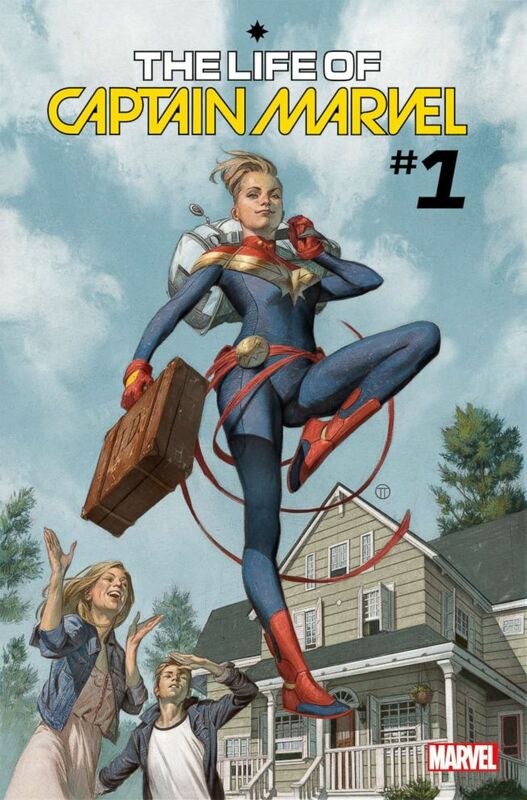 "Life of Captain Marvel" #1 is in stores July 4.